SAN FRANCISCO — A group of scientists and other academics investigating the environmental, climate change and social impacts of oil and gas development, particularly hydraulic fracturing, are calling for both state and federal governments and the oil and gas industry to be more transparent and provide more data about the energy drilling and production processes. The scientists, each presenting at the American Geophysical Union fall meeting in San Francisco, said it is difficult to determine the effects of energy development on water and the climate because little data about fracking are available and energy companies keep their energy extraction and production technology under wraps. A worker drills for natural gas, Piceance Basin, Colo.
No representatives of the energy industry were present at the AGU presentation. 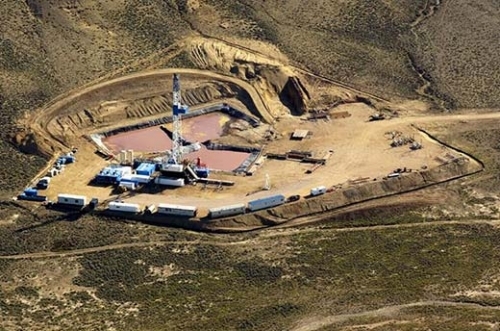 “The rapid scale of fracking has outpaced the scientific information we have on fracking and the regulatory response we have on unconventional oil and gas development,” said analyst Pallavi Phartiyal of the Center for Science and Democracy at the Union of Concerned Scientists. A general lack of data and energy industry funding of scientific studies present significant barriers to scientific understanding of the impacts of fracking, she said. Hydraulic fracturing, or fracking, is the injection water, sand and chemicals into underground shale formations to crack the rock to release trapped crude oil and natural gas into surface-level wells. “Release of data is still very, very difficult,” said Pennsylvania State University geosciences professor Susan Brantley, referring to the availability of consistent water quality data in Pennsylvania that would allow scientists to fully assess the extent to which the Marcellus shale gas boom may be contaminating groundwater in Pennsylvania. “I do think my main conclusion is we need to get the data to be more accessible,” she said. Independent scientists have been asking the industry for data about their technology and operations, but energy companies decline to provide it, Brantley said. Florida State University College of Law assistant professor Hannah Wiseman said there is a need for more data about energy development to improve both science and the public dialogue about fracking. “Good technology can reduce the risks that have been discussed previously,” she said, adding that a good well casing can prevent methane from leaking. Cornell University civil and environmental engineering professor Anthony Ingraffea, who was representing six of his colleagues and their work, said his team’s research shows there are numerous questions about oil and gas development that are unanswered because there is too little information available. Working drill rig in the Pinedale Anticline Natural Gas Field, Wyo. Ingraffea, who said he personally opposes the development of fossil fuels because of their possible role in exacerbating climate change, co-authored research showing that the climate footprint of shale gas production is higher than previously estimated because the process can leak a significant mount of methane, which is many times more potent than carbon as a climate change-fueling greenhouse gas. Also unknown is whether there’s a connection between higher health care costs in a region and the public’s exposure to hydrocarbons there, he said. Lack of data and states’ inconsistent regulation of energy development and willingness to engage the public about fracking lead to confusion among the public about what the risks of energy development really are, he said. The energy industry and state governments should not be allowed to overrule a community’s right to self-determination as permitted in home-rule provisions in state constitutions, he said. 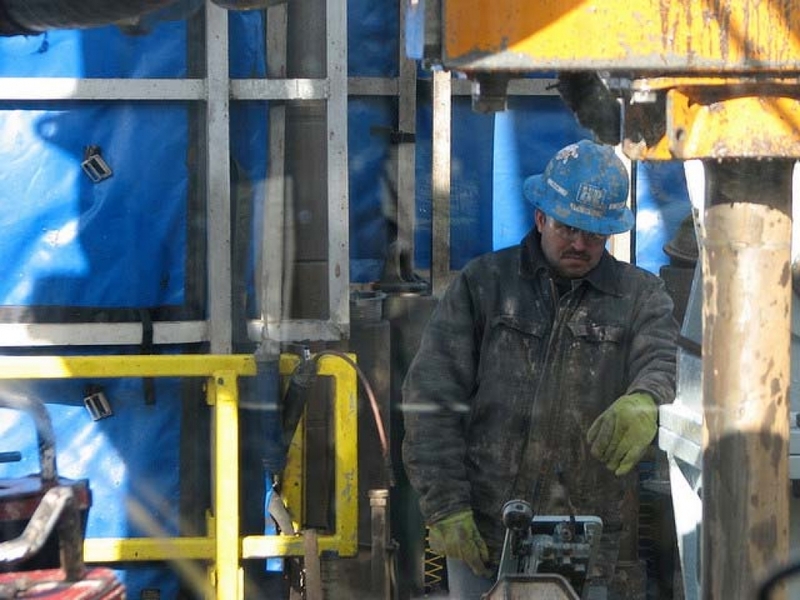 New York, for example, is soliciting public input about the state’s moratorium on fracking, and local governments’ right to ban fracking under the state’s home rule law has been upheld by the state Supreme Court, he said. In Colorado, where voters in five home-rule cities have approved fracking bans or moratoriums since 2012, the opposite is occurring, he said. “The state of Colorado is suing its own citizens to try to take away the right that is apparently given to the people by its own constitution,” Ingraffea said. He said all of these issues taken together are problems without solutions.